TNPSC Group 2 Apply Online 2019 : As per the Annual Planner 2019, TNPSC Group 2 application form release for the recruitment is expected in the month of May 2019. 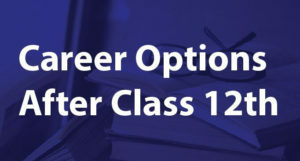 Tamil Nadu Group 2 eligibility criteria is decided by the commission and interested candidates can submit online application on the official website. TNPSC Group 2 registration date will start tentatively in the month of May and will be on until June 2019. TNPSC Group 2 exam will include the Preliminary Test and the Main Examination followed by Interview. As Group II Services of TNPSC includes interview posts, there will be an interview for the candidates shortlisted from the main examination. Preliminary Examination Result One month after the written test. No upper age limit is set for reserved category candidates but the candidates should not be more than 58 years old either on the date of selection or appointment to the post or on the date of notification. For differently abled applicants – Up to 10 years over and above the utmost age limit prescribed. For ex-Servicemen – The utmost age limit is 48 years. B.O.L On Annamalai University If other qualifications are equal preference will be given to candidates with practical experience in social welfare work or those with A Diploma in Social Service including experience in moral and social hygiene and aftercare work. 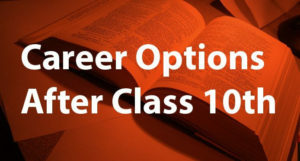 The educational qualification mentioned above for each of the position must have been obtained by the applicants by passing the required qualification in the order of studies – Class X, higher secondary or equivalent, UG degree in law, PG degree, etc. The results for the qualifications above should have been declared on or before the date of notification for this recruitment. Applicants must possess adequate knowledge of Tamil. For complete details in this regard, candidates can visit the Paragraph 11 of the Instructions to applicants by clicking here. In the case of applicants with defective vision, they will have to submit an eye fitness certificate for some positions from a qualified eye specialist. 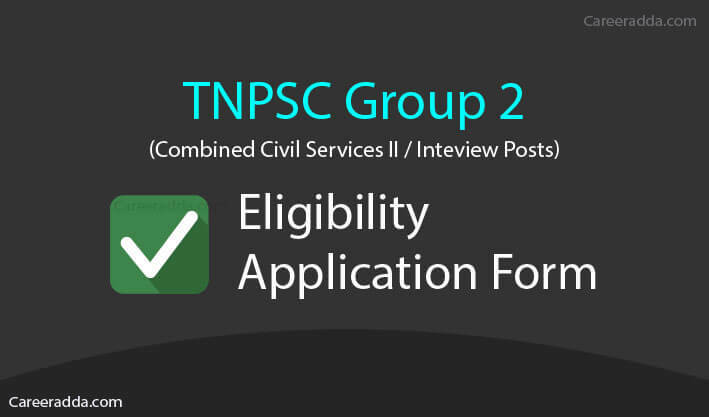 Candidates interested in applying to any position in TNPSC Group 2 recruitment will have to submit the application form only online from the official website of TNPSC. TNPSC Group 2 : How To Apply Online? Before any candidate can apply to any position for any recruitment conducted by TNPSC, it is important that the candidate will have to register with the website of TNPSC. Once registered using the One Time Registration process at the website of TNPSC at http://tnpscexams.in/, candidates can apply using the OTR ID and password for the submission of the online application. You can apply only if you have completed the One-Time Registration and have a candidate dashboard to any job opening advertised by TNPSC. You can now log in using the User ID and password that you got from One-Time Registration. Apply” button, you will be asked to provide your User Name and password. You will have to start applying by providing details about your SSLC registration number, the month and the year of passing and also the name of the board from which you completed the SSLC. Even though you have provided basic details about yourself in OTR, the details you provide in the online application will alone be considered. So, carefully fill up the details in the online application. You will get a chance to change the entries made in the online application later. But, some fields cannot be changed. So, take the utmost care when you fill up the online application. Once you provide the basic details and your educational qualification details, the system will take you to the payment gateway. Here, you will get the option to make the application fee payment either through online or through offline mode. If you choose to pay through online mode, you will have to fill up an additional page of the application. But, this page will not be applicable if you pay through offline mode using the bank or Post Office Challan. Once you complete your online payment, the system will generate an application number. You should take note of this number for future reference. If you choose to pay offline, you will have two options. You can choose either a Post office or SBI challan. Once you choose the offline mode in the payment gateway, the system will generate a payment challan and you should print this challan and should take it to the post office or SBI branch near you to make the payment. Pay the appropriate money in the cash counter and collect the candidate’s copy of the challan. The application process will complete only after successful payment of the application fee. TNPSC Group 2 Recruitment examination fee for the preliminary examination is Rs.100 and for the main examination, the examination fee is Rs.150. SC/SC (A)/ST/differently abled persons and destitute widow of all categories are exempted from the examination fee. For MBC candidates and denotified community candidates, they can get full exemption from the examination fee if they have not availed three free chances earlier. Similarly, ex-servicemen, who have not availed two free chances earlier, are fully exempted from the examination fee payment. Candidates should have their educational qualification certificates and community certificate ready when applying. They need not have to upload any documents when submitting the online application except Photograph and Signature. They will have to produce the original documents only if they are shortlisted for further rounds.